New price and a $5,000 bonus to buyers at closing for decorating allowance. 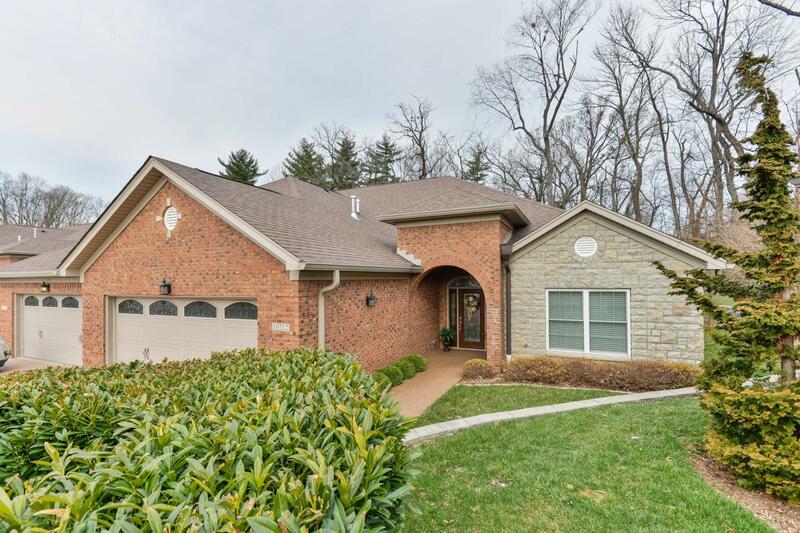 So, if you are in the market for the right location and the right size, here is your rare opportunity to live in the Villas of Dorsey which offers tranquil wooded privacy and newer construction! This over 2200 sq. 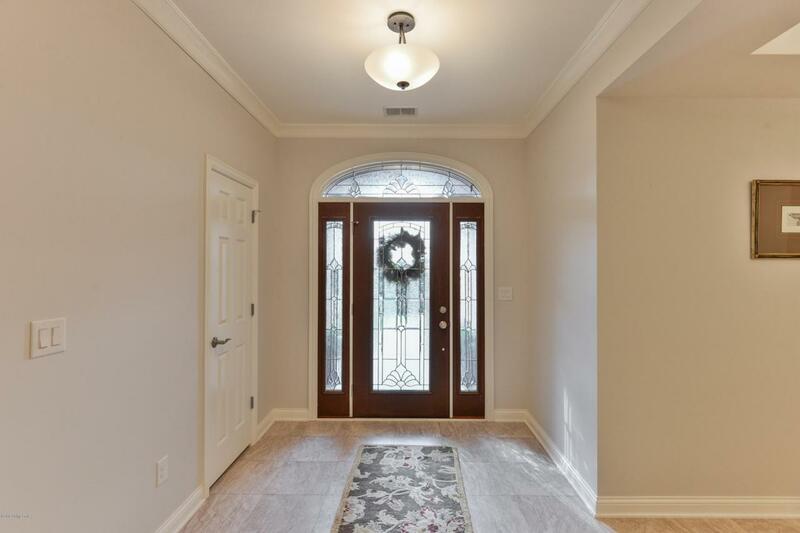 ft. floor plan opens into spacious living areas with a foyer, separate dining room with trey ceilings (comfortably allowing room for additional dining room furniture), an open great room and charming eat-in kitchen, all with wide easy access hallways. There is a large master en suite with double trey ceilings, a beautifully tiled and easily accessible shower, dual sink vanity, a generous master and separate commode closets. The second light-filled bedroom has full bath access with a spacious closetspace as well. 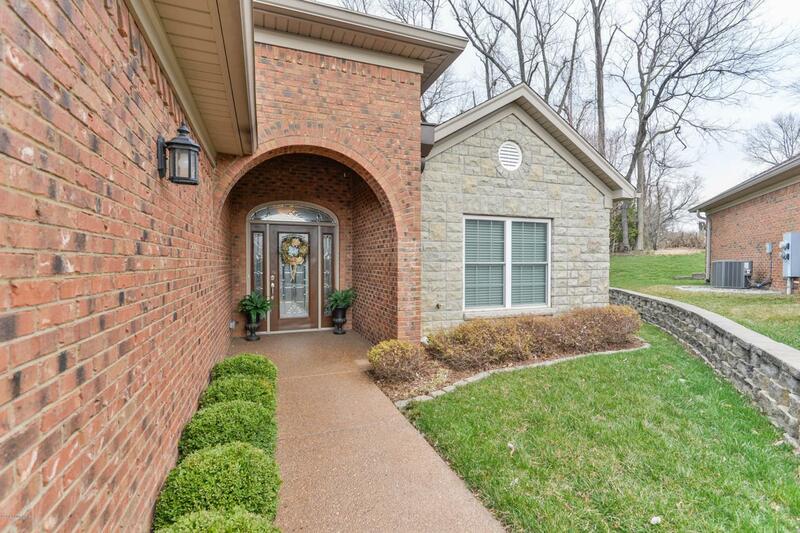 A cozy sunroom/den has full views of the private wooded back patio which includes an automatic protective sunshade completing this ease of living floor plan. Storage is abundant beginning with a coat closet in the foyer, off kitchen pantry closet, laundry room (with sink) and storage closet also located off of kitchen, and additional linen storage. There is also private garage storage with kitchen access, great for additional pantry items or cleaning supplies. Speaking of garage, it is deep and wide with plenty of room for added shelving. Sellers have added GutterGuard for ease of maintenance. All appliances will remain with home. 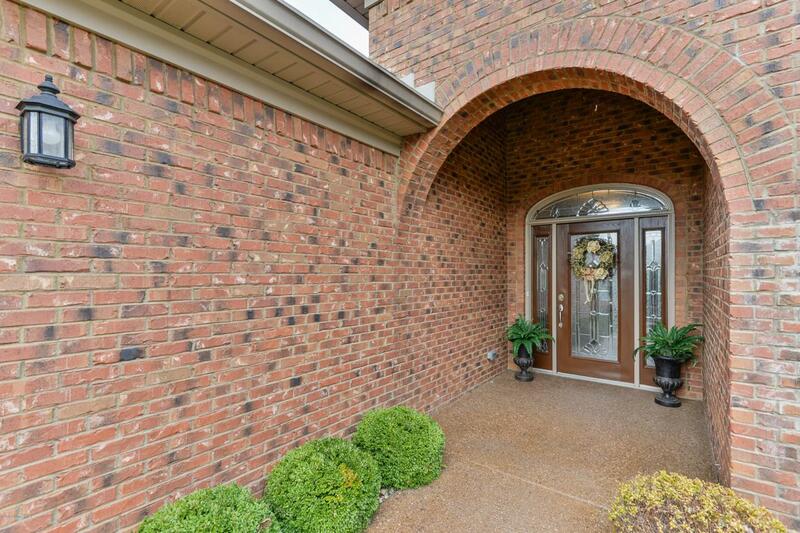 Dorsey Lane is a convenient corridor to either the Paddock/Summit area or all that Shelbyville Rd has to offer in shopping, dining, churches and entertainment. Do not miss this opportunity to live in this popular yet securely private community!